I love the summer months when we all spend so much time outside in our gardens. I love the easy, relaxed pace of life, enjoying tea with the family on the patio, watching the girls play on the trampoline and growing our raspberries and strawberries. Once Autumn arrives, and definitely once Winter comes we don’t go outside so much. We don’t spend so much time hanging out in the garden and if we do, it’s over quite quickly. We’re not very good at enduring the cooler temperatures I’m afraid. So I tend to have a problem with the furniture and accessories that I have dotted about. I enjoy them and leave them out in the Summer, but never quite know what to do with them in the cooler months. Garden storage is a big issue for me, I just don’t have enough of it. Last year we installed a second small shed which has helped but I still don’t have anywhere to store my garden sofa cushions and they’re starting to spoil slightly. I do think I just need to look around though, as I’m sure there are lots of great companies that do some wonderfully creative products. Take this wheelie bin storage for example. Now it might not be the most attractive thing in the world to talk about, but doesn’t this storage unit look fabulous. You really wouldn’t know what was hidden behind it, and it makes something very ugly, look stylish and unobtrusive. Whoever designed the wheelie bin needs to be reprimanded! But at least there are some great solutions around. Of course what I really need is some kind of deluxe garden shed with enough clever storage to store all my garden pieces as well as the power tools (plus bikes, scooters, garden chairs and lawnmower!). With #ProjectAttic almost finished, she hopes, we may start to look at the garden and how it works for us, in the next year or two. I saw AResidence was involved in a fantastic garden makeover recently and that’s definitely something we need to consider. 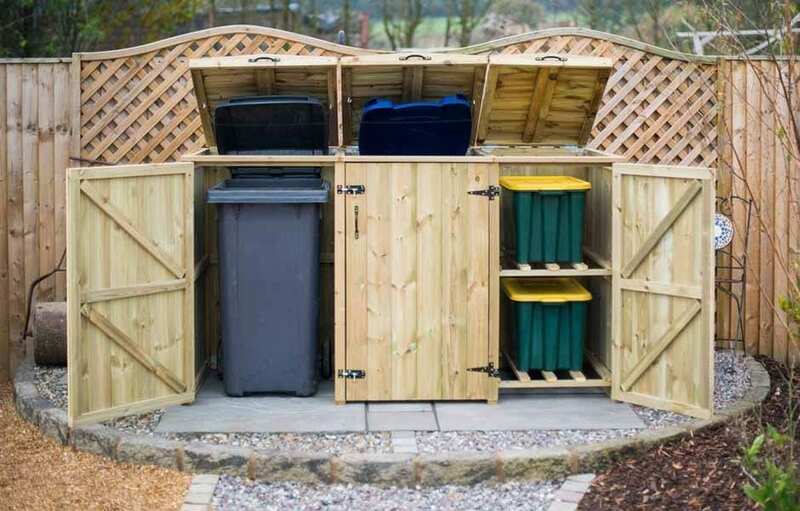 Maybe at that point I can incorporate some lovely wooden wheelie bin storage, have a space for the recycling too, and a special location for those garden furniture cushions. But that’s a whole other project that I need to think about once the loft conversion is finished. I’d love to know what you do for garden storage though? Do you have enough? Am I just hogging too many garden items and need to declutter? What would you do? Oh I really want one of those bin storage sheds, I hate seeing the bins out the front of my house all the time. There isn’t anywhere else I can store them so this would work great. 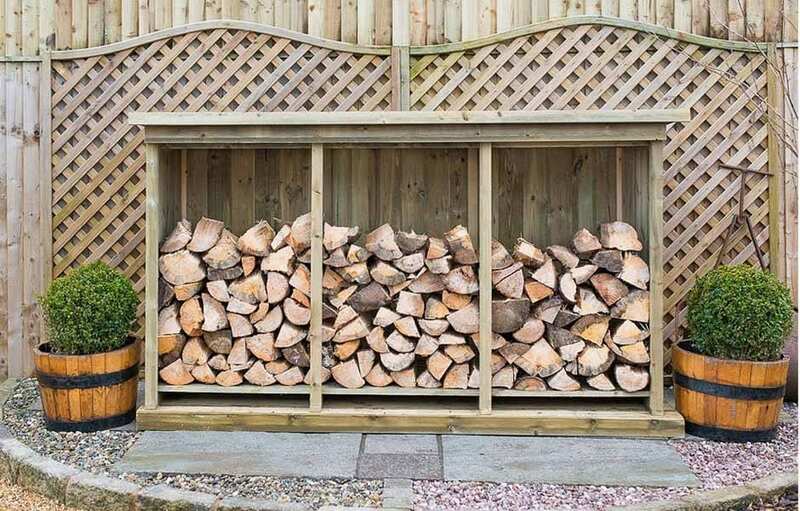 Another hit – Just stumbled on this from your other post about garden storage and found this one just as useful. Its great to see a blog that is about the realities of a family garden, and not just focusing on ideal dream gardens only possible for lottery winners. Keep up the great work! I’m loving the natural look of the “wheelie bin storage”! It’s so organized and looks very easy to maintain. My wife and I aren’t getting much of a chance at a garden this year, mainly because of some terrible weather last year (2015), but hopefully we can come up with something this user-friendly. Thanks for posting this – so much better than just buying a shed and putting it up.